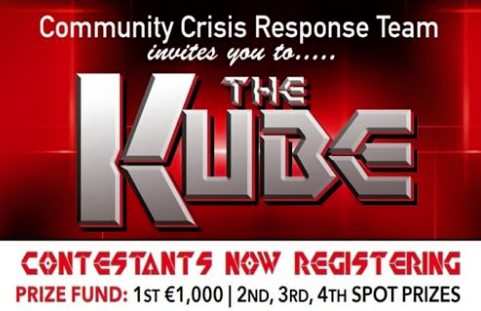 The Community Crisis Response Team will be holding The Kube as seen on TV on April 13th at the Longcourt Hotel, Newcastle West Co Limerick Limerick. 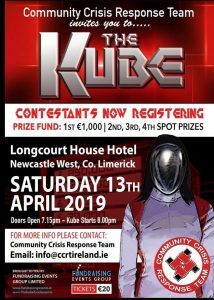 This event is a fundraiser for their out of hours mobile response team that travels to people in suicidal distress every night from 5 pm until 6 am. They have been involved a lot recently with ICHAS, especially with their QPR Training which took place both in Limerick and Griffith College Dublin. They recently had the draw for the heats which will take place on the night. There has been a great response to the event and the likes of Limericks All-Ireland heroes Kyle Hayes and Aaron Gillane will be taking part. Each participant will be sponsored by a local organisation and we’re delighted to be the sponsor for Kenneth Egan who is best known for winning a Silver Medal in the final of the 81 kg, Light-Heavyweight boxing final at the 2008 Olympics. Since retiring from the professional circuit he has become a psychotherapist and has given talks around the country about his own battles with anxiety and alcoholism and how he eventually overcame them to lead a life of sobriety for the past eight and a half years. Kenny Egan is reading to go and ready to beat The Kube in aid of our team! Tickets are on sale now and flying out the door. 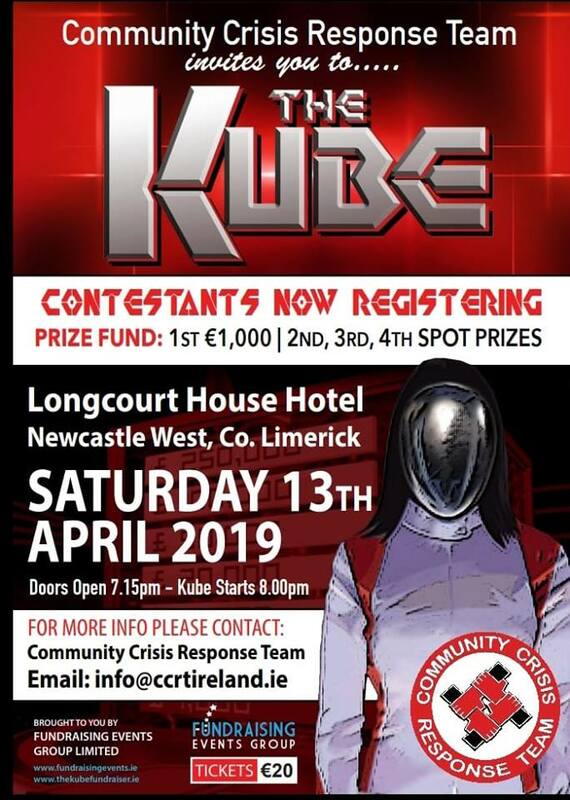 He will be one of 36 contestants competing on the night and everyone here at ICHAS are looking forward to a terrific event that will raise funds for such an important cause. If you want to learn more about the night then be sure to check out the CCRT Facebook page. You can also find them on Instagram where they have details on all the participants on the night.